I’ve written a lot about Indian lentils in my previous posts & recipes, simply because it is honestly such a big part of the Indian cuisine. 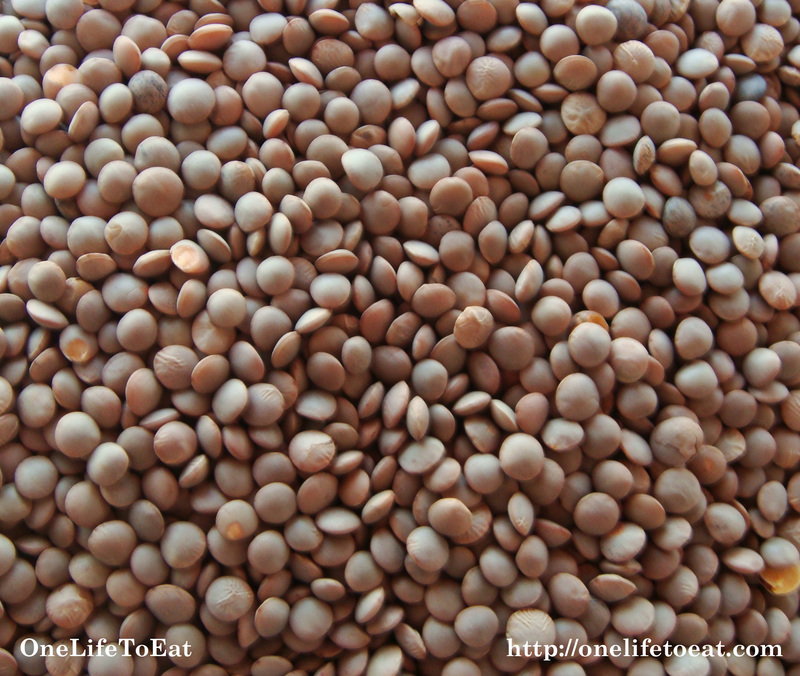 To write this post, I went back and did some reading on Lentils and came across some really interesting facts. Did you know that the word Lens comes from the word Lentil, whose shape it resembles? Ain’t that cool? I have personally noticed that the brown lentil is more popular in western cooking than any other lentil, as it is commonly used by chefs in recent years on TV shows to make salads, soups and even as a healthy side dish. As is with cooking on Television, some elements and methods become fashionable with chefs from time to time, and brown lentils were too, for a while. The Masoor dal also known as Brown lentil, and when polished, orange lentil, is prepared for the most part, the same way as the Yellow daal is. The biggest difference though between the two is cooking times. When soaked in water for the same amount of time, Masoor dal takes roughly double the time to cook than Yellow toor dal. Ofcourse cooking time also depends on how you want to eat it. If you plan to eat it with Roti or Naan, you’d want to make sure you cook it to the point where each grain retains it’s shape and firmness. If brown lentils are to be enjoyed with rice, you have to cook it to a mushier stage so that it blends well together with the spices and vegetables, to result in a thick soup-y texture. In the latter case, the brown lentil is cooked with a handful of polished brown lentil, also known as orange lentil. What I appreciate about the way Masoor dal is prepared in the Indian cuisine, is the amount of herbs and medicinal seeds that go into it. Because the dal itself has a very earthy taste that may not be palatable to everyone, the herbs and seeds add an unique layer of aroma and flavor. I add aromatics such as curry leaves, fenugreek seeds, cumin seeds and black mustard seeds when making the dal. In my home, everyone likes the mushier variety of Masoor dal. To make the drier, firmer version of the dal, simply cook with lesser water and for lesser time. In a pressure cooker or pot, heat the oil. When heated, add the curry leaves, cumin seeds, mustard seeds and fenugreek seeds. When they begin to crackle, add the onions. Be careful not to burn the cumin seeds. Add the chopped tomatoes and allow to cook till the mixture gets soft. While the tomatoes cook, drain the water from the soaked dals. Reserve the water for reuse in the cooking. 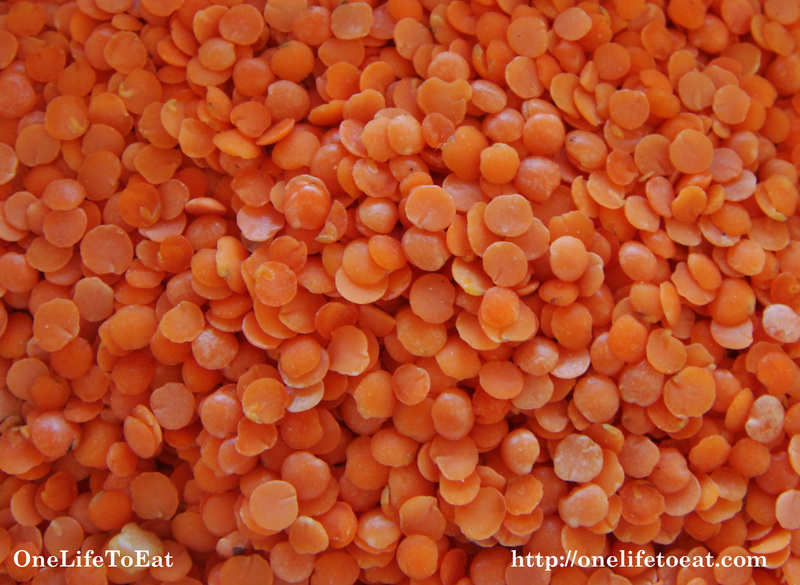 It contains tons of water-soluble nutrients from the lentils. Very nice… Masoor dal, rice… add a side of freshly fried masoor dal pakoris with them. Masoor dal pakoris?! Sounds so YUM! Can I find the recipe on your blog? Thanks for stopping by! Surely will post the recip on my blog and let you know. YUM. I love dals. I could eat them everyday, especially in our cold weather months. And I never knew that the brown and orange lentils were the same thing, just processed differently! Thanks for including the proportions for the Dhania-Zeera powder – I couldn’t find it at our Indian market, so I used a 1:1 ratio same as you noted above – whew! 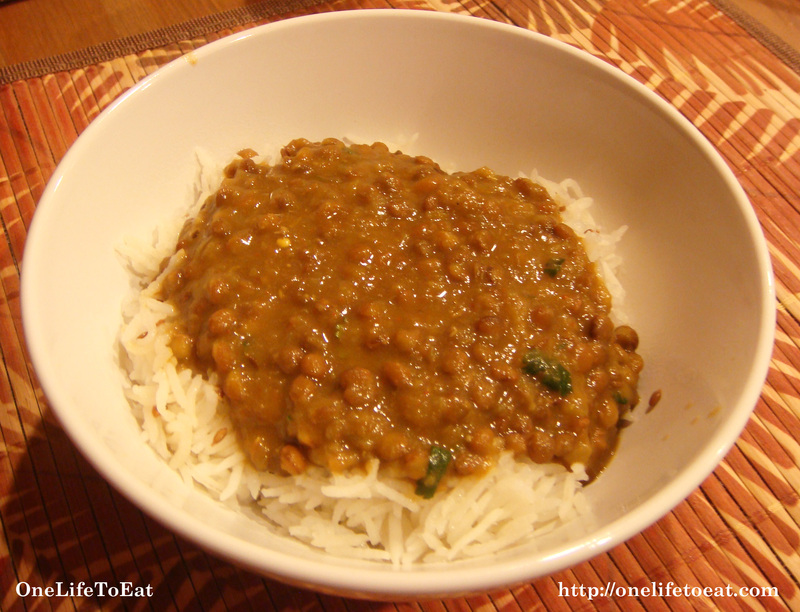 It’s supposed to be damp and cold all weekend here – sounds like perfect dal weather to me! Completely agree with your sentiments about dal. I could actually eat it everyday. About the Dhania-Zeera proportions – I realized the other day at a trip to the grocery store that the mixed spice is only available in large packets that are usually not visibly stocked on shelves. Thought I’d write about an alternative for everyone. Wish I could steal some humidity from Chicago! It’s really dry here. Hopefully it’ll rain this weekend and things will lighten up. Hi Sabera, please checkout the masoor dal pakodis post. Really nice and doable recipes Sabera! I love this dal. Its exactly how we make it at home. I was wondering though, if you have tried making dal tadka. Lots of calories but so yum! Glad you like OneLifeToEat Shraddha! Yes I have tried making dal tadka but I don’t enjoy the excess fat floating on the top 🙂 Hope to see you here again. Sabera Hi I am a fellow blogger http://your-dreams-coming-true.com and I absolutely loooooove food from former British colonial posessions in the Asian Sub-continent. I could eat it everyday morning, lunch and dinner. If you have a look at my blog please don’t laugh at my curries because I am Greek with a British education but I have eaten Indian/Pakistani food internationally so I have a pretty good idea.Regarding the lentils please tell me if I can cook only the orange type without mixing the brown with it. Stelio – It thoroughly amuses and honestly surprises me that you refer to India as a ‘former British colonial possession’. It has been over 60 years since we won independence from the British and India is now one of the fastest growing economies in the world. Surely, you must update the brand India represents to you (because the world doesn’t see it as a ‘former British colony’ any more!). Perhaps you should now say (to rephrase what you say above) ‘I loooooove food from the Asian sub-continent!”. You could cook the ‘orange-type’ lentil (polished masoor dal) by itself but I have noticed the daal’s consistency doesn’t come together well. I strongly suggest you use the un-polished brown masoor daal with it, to create a good consistency once cooked. This is by far the most informative site on dals I’ve ever come across. I’ve been trying to get some info about the nutrients and stuff and I think I’ve landed on the perfect site. I’ve never used brown dal, though the orange masoor dal is what I cook for my infant daughter since it seemed easier to cook this than toor dal. But is there any dal that is nutritious for babies? Hi Aishwarya! Thank you for your kind words and glad you enjoy this post. This advice comes from my sister who has a 2 year old – when he was younger, she made 3 types of daals – orange, brown (masoor) and urad dal. All daals are nutritous for babies when cooked well but these 3 tend to get mushy really well and babies tend to enjoy the taste. You can start by using these 3 daals. I will be posting some recipes for baby food soon so check back here for more recipes you can use for your daughter! 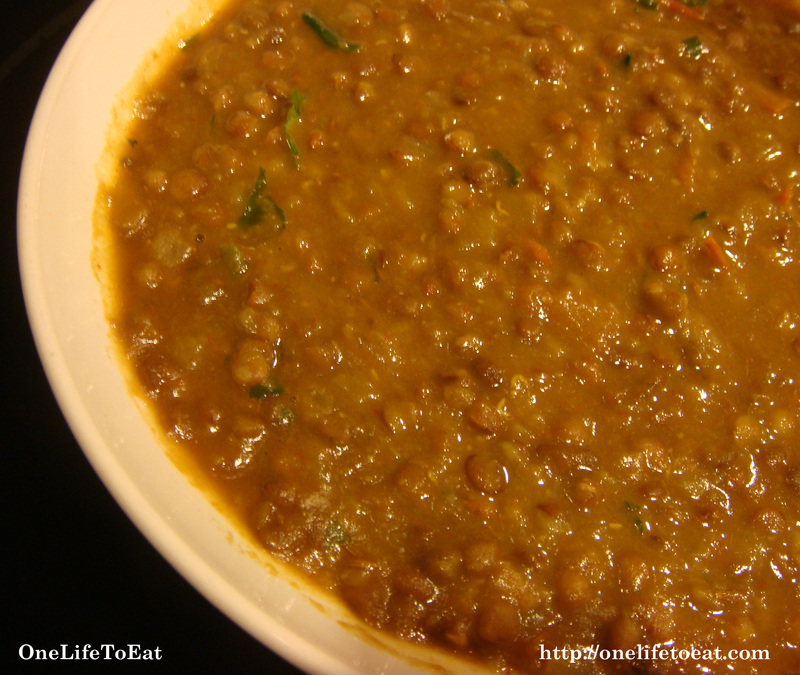 yummy dal….easy to make and a must try!…i used green chillies,mustard seeds and curry leaves as a tadka instead of adding it earlier…i like it that way….thanx for d recipe.it ce out really well.